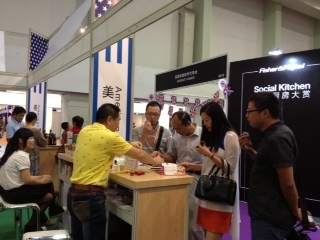 From September 26-28, 2013, MZMC hosted a cranberry booth at the U.S. Food and Wine Pavilion of the Horfa trade show in Shanghai, China. Horseback riding and equestrian activities are currently in the very early market development stage in China, and are generally geared toward only the most affluent consumers. Similar to golf resorts, horse clubs in China typically include high-end dining and lodging facilities with imported food and wine offerings. Among the visitors and exhibitors at Horfa were imported food and wine distributors, baking and kitchen equipment suppliers, as well as equestrian clubs, overseas real estate and investment specialists, and representatives from all aspects of the horse sales, care, and transportation industries. The cranberry booth offered samples and provided product information during the 3 day show. 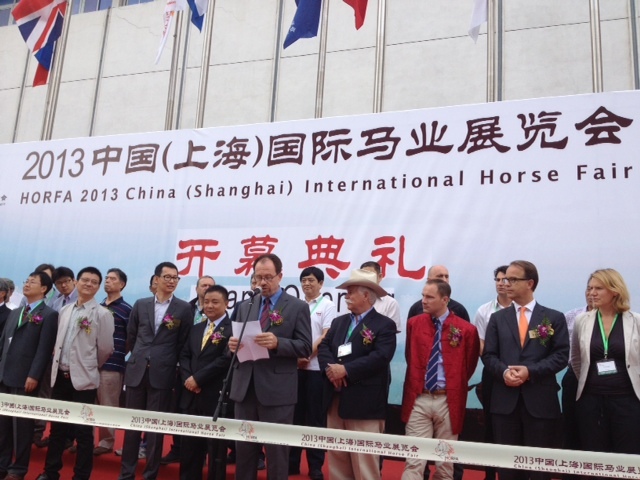 2013 marks the fourth edition of the Horfa trade show, which markets itself as the largest and most exclusive horse trade fair in China. Hosting nearly 70 visitors from 17 different countries, Horfa provides extensive networking opportunities within China’s high-end lifestyle sector. The show is jointly organized by the YUBO Group, a professional trade fair organizer, and the China Horse Industry Association.